Poverty and hunger are on the rise in Egypt — but this is nothing new. Donors and aid groups appear to be largely unfazed about the impact of the recent unrest on the country’s food security. The problems are structural and have roots in years of instability, experts stress. What remains to be seen is if the Egyptian government will try a new approach to address the issue, and if this may cause international donors to reconsider their strategy toward the country. After a first exploratory meeting on Monday, the U.N. Food and Agriculture Organization and the World Food Program hope to know more about the government’s plans in the coming weeks, a U.N. source told Devex. WFP — which published in July a detailed report on food security in Egypt — is concerned about the rising poverty, worsening economic situation and political uncertainty, but again this is nothing new to the country. “It wasn’t by any means better before the current situation. We cannot link what’s happening now to the food security situation … It is an accumulation of crises that hit Egypt … in the past two and a half years”, Reem Nada, WFP public information officer for the Middle East, North Africa, Central Asia and Eastern Europe, told Devex. Egyptians are suffering the perfect storm. Inflation reached 10.9 percent in July and less and less people are now able to buy enough food with the rising pricers. 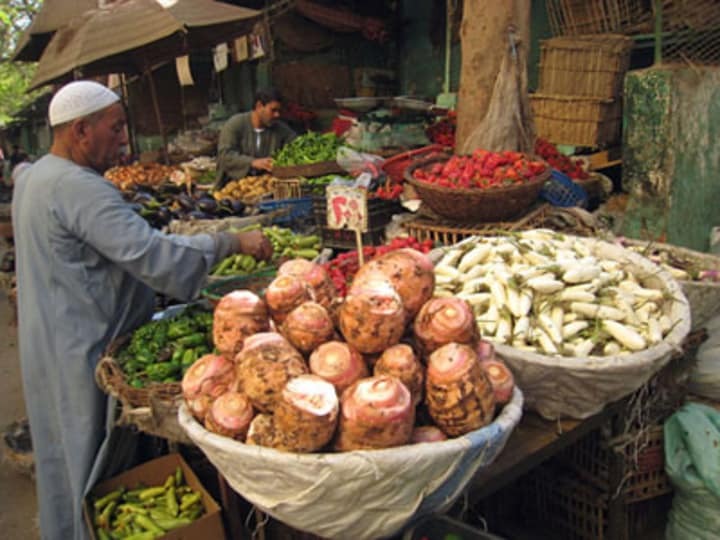 Two-thirds of Egyptians now spend most of their household income on food, according to the WFP report. “According to certain estimations the poverty rate has increased dramatically [during the last two years, and] now it reaches almost 25 percent of the population, around 21 million people. It’s a difficult situation,” said FAO regional representative and assistant director-general Abdessalam Ould Ahmed. So what can these aid groups do now to expect from now on? It depend essentially on the Egyptian government’s plans, in particular on agriculture. According to FAO, these structural problems are mainly the gap between long-term agricultural production potential and population growth estimates, as well as the system’s capacity to respond to shocks, and the impact of climate change and animal diseases. Three years ago, the U.N. agency jointly developed with the Egyptian government a long-term agricultural strategy that prioritized strengthening the institutions dealing with food security, improving their capacity to respond to shocks and supporting the government in food security coordination. “There was a plan … and it is now important to see now [what] the governments’ priorities will be, whether they will be changed, whether they will be the same … Depending on the government’s priorities we adapt our plans and program,” said Ould Ahmed. Another question is whether the political instability in Egypt will impact on the capacity of groups to deliver aid and work on the ground or lead to changes in commitments by donors, but U.N. agencies are not worried.